The Grizzly Bear once inhabited almost all-western North America but with the arrival of the Europeans in the 1500’s their numbers were reduced until now they are restricted chiefly to the Canadian Rockies and Alaska with a small, healthy, and growing population in the Yellowstone Region. Grizzly numbers were estimated at 100,000 in the lower 48 states in the early 1900’s, but today there are fewer than 1,000. Grizzly bears are still common in the mountainous regions of western Canada and Alaska; a population estimated at 30,000 bears. 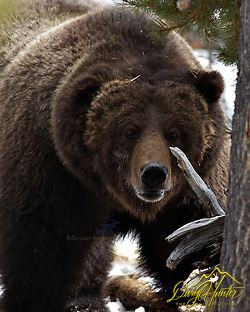 Grizzlies occupy a variety of habitats including the desert’s edge, boreal forests, sub-alpine meadows to the tundra above tree line. Grizzlies were common on the Great Plains prior to the arrival of European settlers and in the 1700’s grizzlies numbered 20,000 in California alone. Grizzly ranges overlap extensively, and there is no evidence they are territorial. 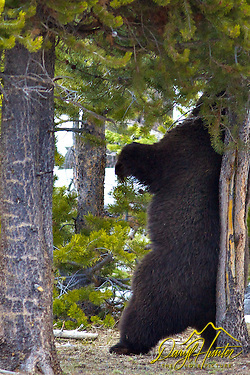 Occasionally, bears may gather in large numbers at major food sources and form family foraging groups, but grizzlies are generally solitary. The long-range agendum behind the environmentalist’s effort to move grizzlies into the Selway-Bitterroot ecosystem is a part of a movement to develop a corridor that could link populations of bears all the way from Alaska to the Greater Yellowstone ecosystem. The idea has been coined Y2Y (Yukon to Yellowstone.) 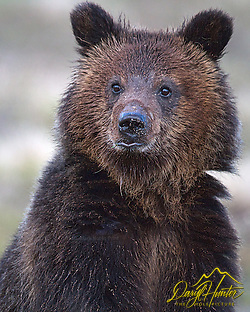 The Y2Y movement is 140 environmental groups who propose a series of wildlife corridors to link populations of bear, wolves, and other large predators all the way from Yellowstone National Park in Wyoming to Canada’s Yukon Territory on the border of Alaska. The entire area encompasses almost 500,000 square miles, using dedicated, animals-only overpasses and underpasses. In Montana’s Glacier National Park and in the Yellowstone region grizzly bears contribute to the eco-tourism industry and have been a long time draw to the National Parks. Alaska and Canada also benefit from grizzly eco-tourism. Economic cost of the Grizzly includes; predation of livestock of rocky mountain ranchers and the millions of dollars spent to monitor and litigate on behalf of the grizzly. Posted on Thursday, June 21st, 2012 at 6:41 am. 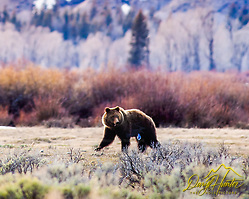 Filed under: Wildlife Tags: about grizzly bears, behavior, Grand Teton Park, Greater Yellowstone, grizzly bear, grizzly cubs, photos, yellowstone park	RSS 2.0 feed.